As we get into the Heat of the summer we look for ways to keep our house cool without running the air conditioning continuously. 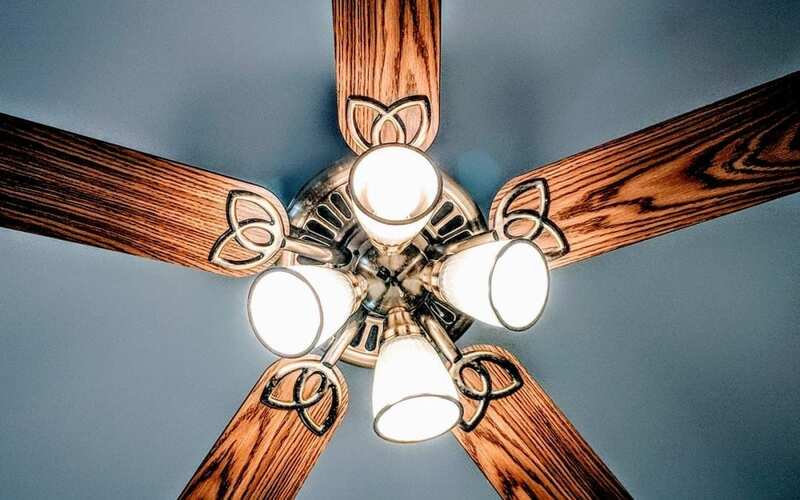 One of the ways we can be comfortable without running the air conditioning to a lower temperature is to install ceiling fans in rooms, especially on second floor bedrooms. As long as you are moving air especially in second floor bedrooms at night you can run ceiling fans you can be comfortable. Unlike air conditioning systems which remove humidity from the air and lower a rooms temperature a ceiling fan can move up to 5000 CFM Air and you can be comfortable. Ceiling Fans come in a variety of styles and finishes. Ceiling Fans with the Highest CFM rating move the most air in a room but will probably be more noisy. They should be installed in the center of a room and 8 to 9 feet high to effectively move air for the entire area. The fan blades must be clean to move air efficiently and should be cleaned periodically. A ceiling fan that is covered with dust or pollen can throw these particles thru the entire room. You must make sure that it is clean to move air effectively. So it makes sense to install a ceiling fan to save money on your electricity bill during the hot summer months.